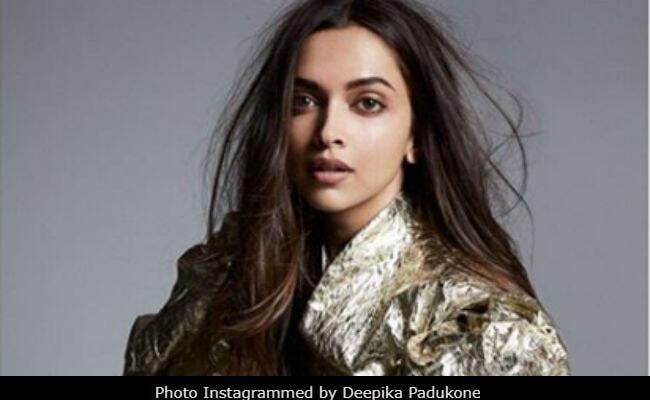 Deepika Padukone shared an Instagram post about "the growing epidemic that is depression"
"Last week, the world lost two of its shining stars to the growing epidemic that is depression," read Deepika Padukone's new Instagram post. References were made to celebrity chef-food critic Anthony Bourdain and celebrated fashion designer Kate Spade, whose sudden deaths have left the world shocked and mourning. Kate Spade committed suicide in her New York Apartment earlier this month while three days later Mr Bourdain committed suicide in a hotel room in France's Strasbourg. In both cases of high-profile suicide, depression is suspected to be the driving factor. Deepika, who had previously talked about her battle with depression and urged many to open up about the illness, intended to drive home a pertinent factor about depression - "Just like all other illnesses, depression doesn't discriminate." In the post shared by Deepika, issues like the growing number of deaths caused by depression and how the "element of depression is grossly misunderstood" have been highlighted. "Kate Spade and Anthony Bourdain were pioneers in their respective fields. They both carved a niche for themselves by doing the unexpected. They not only changed the world of fashion and food forever but were also loved by millions across the world. To the outside world, they seemed 'happy'. They seemingly 'had it all'. Then how did they 'fall' into depression?" read an excerpt from Deepika's post. In the post, originally shared on the Instagram handle of Live Love Laugh Foundation, Deepika touched upon some critical points about the illness. "The element of depression is grossly misunderstood is the belief that you have control over your illness. In reality, you don't. The illness will creep into your life, and if left untreated, may completely engulf you. You are not in the driver's seat anymore, the illness is. It will tell you where to go, what to eat and when to sleep," her post stated. "Depression today is a growing epidemic, yet there is so much stigma attached to it that individuals are often dissuaded from seeking help. Asking someone to just 'snap out of it' is the equivalent of telling someone with a broken leg to continue walking," the post continued to read. Deepika Padukone opened up about her battle with depression in 2015, following which she founded the NGO Live Love Laugh Foundation to help those with mental illness. The 32-year-old actress, who has battled and survived depression, had earlier pointed out that anyone, irrespective of their social or economic position, can be diagnosed with depression. Earlier, in her exclusive interview to NDTV in 2015, Deepika had said: "If I can impact one life in this entire process of speaking up and letting people know that it's something I have been through and something that I could deal with because I had a fantastic support system." After "Padmaavat", Deepika Padukone has signed a film with her Piku co-star Irrfan Khan, which will be directed by Vishal Bhardwaj.